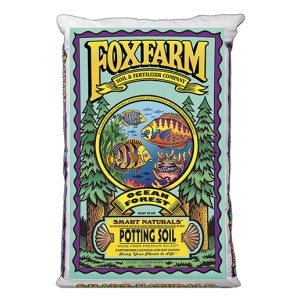 The ultimate potting soil—everything your plants need, in one bag. Ocean Forest® is a powerhouse blend of premium earthworm castings, bat guano, and sea-going fish and crab meal. Aged forest products, sandy loam, and sphagnum peat moss give Ocean Forest® its light, aerated texture. Start with Ocean Forest® and watch your plants come alive!